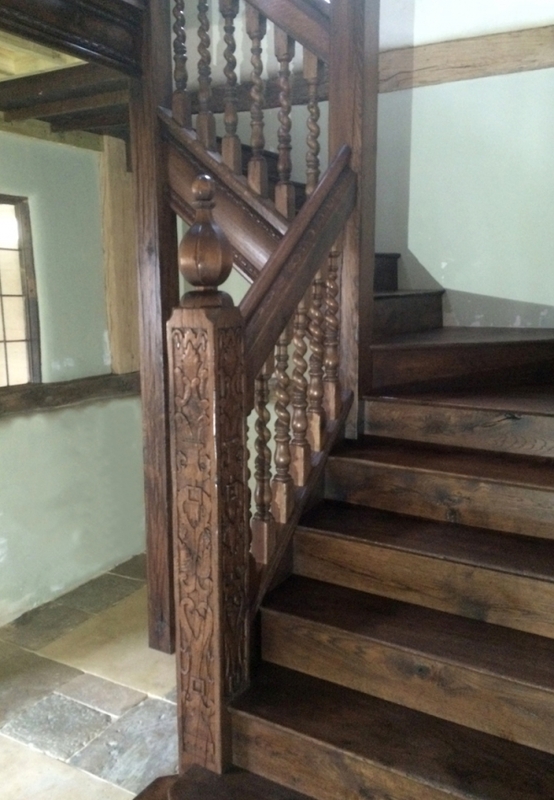 This oak staircase has a hand carved newel post, carved detail to the string and apron mouldings and barley twist turns and is all made from character oak. 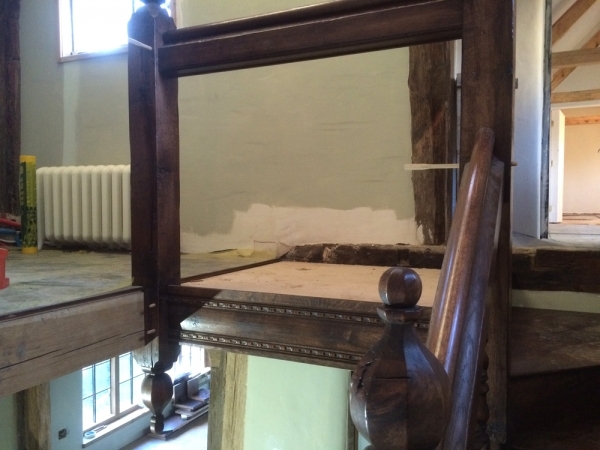 The timber was selected to have a few knots and small splits to compliment the existing timber in the property. 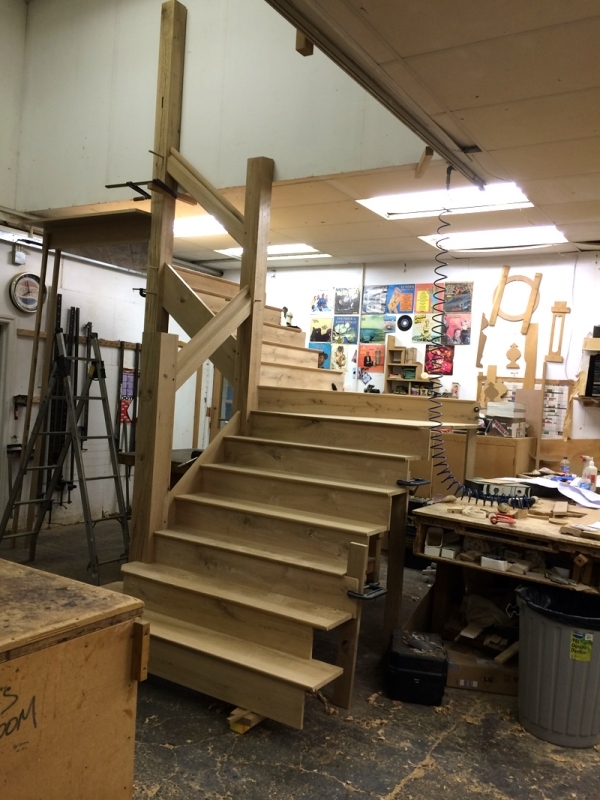 The staircase was then assembled in our workshop to ensure all joints fit correctly before being hand carved, each piece of timber was then hand planed and distressed before being polished. 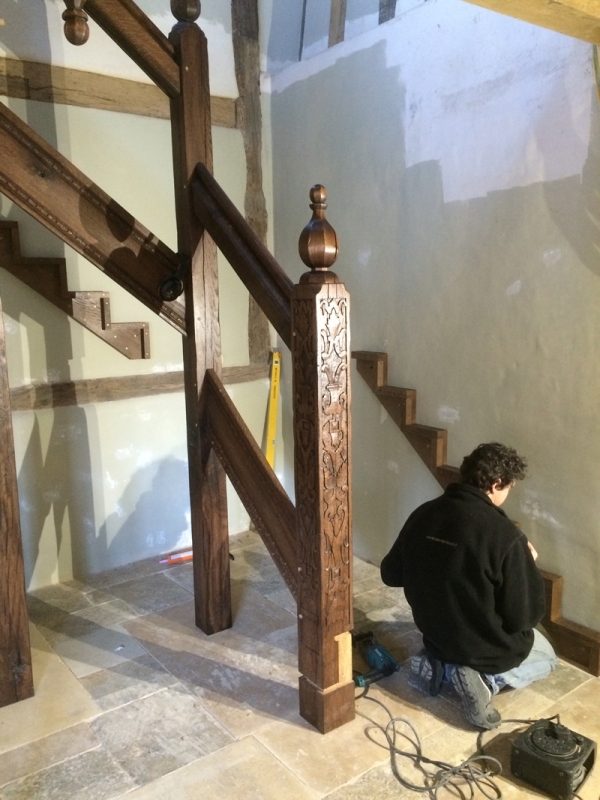 The oak staircase was then fitted by two members of our team.